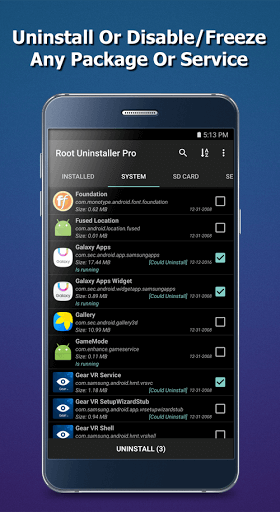 – Root Uninstaller Free version limit uninstall 30 System apps, upgrade to Premium (Pro) to get full features with no limit. 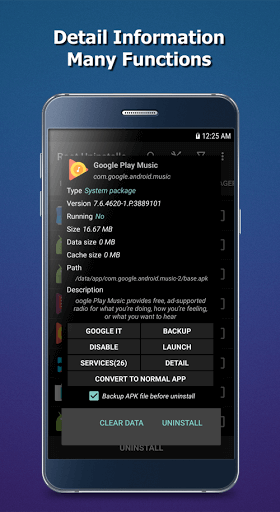 – Uninstall critical (System) packages can cause your phone to malfunction, make sure only uninstall packages which you know certain aren’t needed. – We are not responsible for any damage caused by uninstall System packages.